Mooresville is a charming little town about 20 miles southwest of Huntsville, just off Highway 565 in Limestone County. 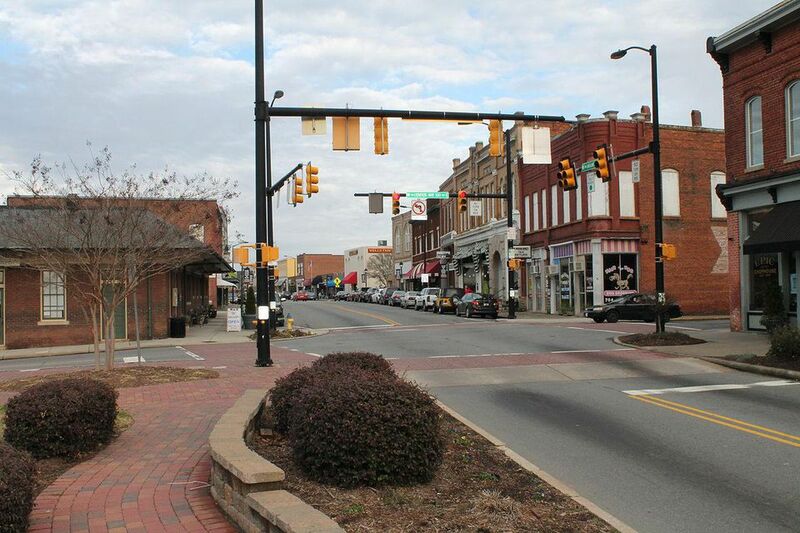 Visiting Mooresville is like stepping back in time to a peaceful, less hectic way of living. In fact, Mooresville, with its tree-shaded streets, white picket fences and absence of sidewalks, is the model for many of the new "planned communities" going up everywhere as people search for that neighborhood feeling. Architects and developers from around the country come to Alabama Territory's first incorporated town to see how it works. Mooresville is often referred to as "Alabama's Williamsburg" and its rural appearance makes it look like a pre-Civil War setting. Mooresville's history began in 1805 when the first settlers came to land occupied by the Chickasaw Indians. By 1818, Mooresville had 62 residents and petitioned the Alabama Territorial Legislature for an Act of Incorporation. Alabama didn't become a state until a year later in 1819, making Mooresville a "town older than the state." The entire town is included in the listings of the National Register of Historic Places. The oldest operational post office in the state. Future President, James A. Garfield, preached at the old white clapboard Church of Christ in 1862. Future President, Andrew Johnson, spent time in Mooresville in 1842 as a tailor's apprentice. In 1995, the Disney film "Tom and Huck" was filmed in Mooresville. Constantine Blackman Sanders called the "X+Y=Z Preacher," was a minister at the Old Brick Church. Sanders "was credited with the ability to make predictions, help the ill, assist in locating lost objects and relate happenings in other locations while in a sleep or trance." A few of Mooresville's largest trees may date back to the 1800's. In December, the residents work together to decorate the town with fresh greenery. The Historic Mooresville Home and Garden Tour is held in May of odd-numbered years. Limestone Bay Trading Co. Restaurant opened in February 2004 in the old general store location. In 2001, the city of Mooresville published a book on the history and pictures of this little gem of a town. For a copy of Mooresville: A Guide to the First Town Incorporated by the Alabama Territorial Legislature contact the Town of Mooresville or stop by Shaver's Bookstore in Huntsville.